The United States is privatizing the ocean, wreaking havoc on the seas and on fishing towns. Some people believe it is worth it. Gulf Wild ― the first seafood brand in America to trace each fish from the sea to the table ― emerged after grouper, the star of fried fish sandwiches, fell off menus due to overfishing. The brand was born when the government privatized the rights to fish to fix the problem. Through traceability, Gulf Wild has met burgeoning consumer demand for domestic, sustainable seafood, selling in boutique grocers and catapulting grouper from the hamburger bun to the white tablecloth. But the property rights that saved grouper also shifted control of the fish from public to private, forever changing the relationship between wild seafood and the people that eat it. 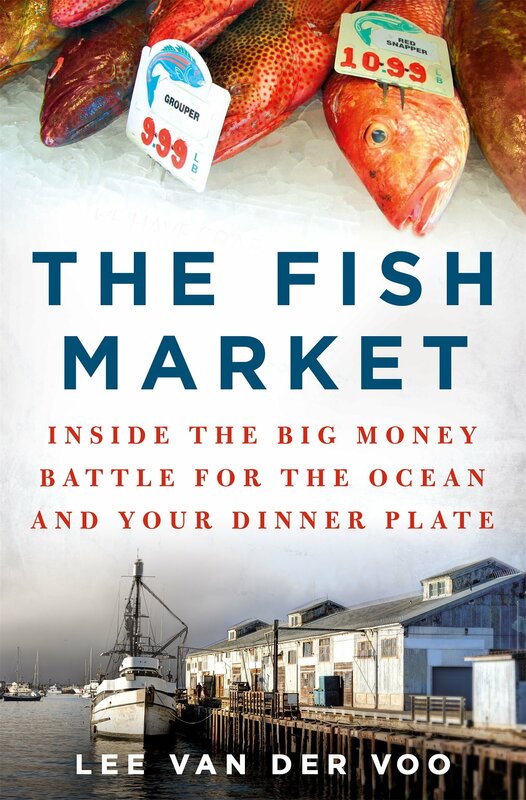 Aboard fishing vessels from Alaska to Maine, inside restaurants of top chefs, and from the halls of Congress, in The Fish Market, journalist Lee van der Voo tells the story of the people and places left behind in this era of ocean privatization―a trend that now controls more than half of American seafood. Following seafood money from U.S. docks to Wall Street, she explains the methods that investors, equity firms, and seafood landlords have used to capture the upside of the sustainable seafood movement, and why many people believe in them. She also goes behind the scenes of the Slow Fish movement―among holdouts against privatization of the sea― to show why they argue consumers don’t have to buy sustainability from Wall Street, or choose between the environment and their fisherman.